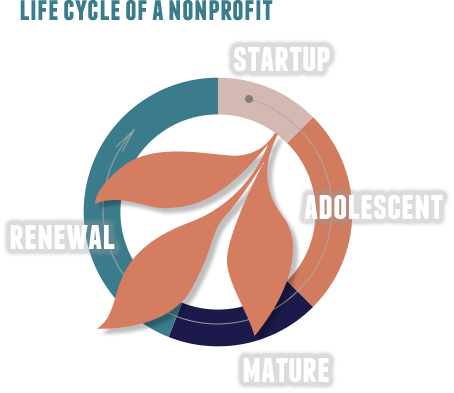 Nonprofit organizations have a defined life cycle, from the initial idea to growth and mature stability. At some point in that life cycle, a crisis may occur - loss of income, departure of key staff, industry changes – which may lead the organization to either review and renew or to dissolve. It is at those pivotal times when a nonprofit may reach out for help. Krystine’s particular expertise is working with small to mid-sized nonprofits during pivotal times in their life cycles. She can provide guidance to start-ups, and has helped a number of organizations to obtain either their 501(c)3 status or to find a fiscal agent. She has significant experience with helping young, founder-run organizations who are struggling with the “adolescent stage” transition from grassroots operations into mature nonprofits. She can help your organization learn how to most effectively grow, to increase capacity, to professionalize its operations, and to gain stability. Having worked with Quaker organizations for many years, Krystine is comfortable with a thoughtful, collaborative, and inclusive style of decision-making, but also understands the need for leaders to be capable of assessing urgent situations and making quick decisions. She can help your leadership navigate the difference between the two. When nonprofits are faced with significant change, they can often benefit from a fresh, outside perspective and guidance in working through possible solutions.